Alyssa Jenna Mallett road rage. Image via TLC. Alyssa Jenna Mallett NYC cabbie amazing road rage: A 25 year old woman is identified as the road rage taxi driver assaulting a SUV couple. A history of assault and bad behavior on the job. 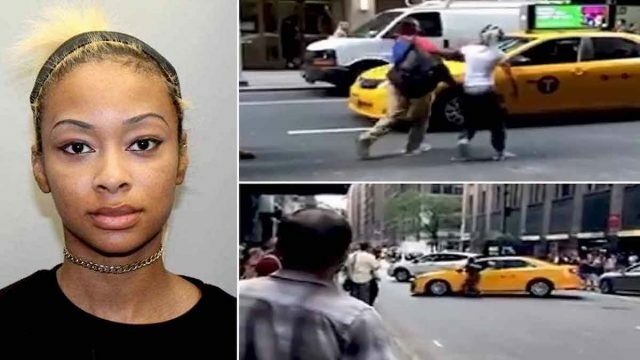 A female NYC cab driver has been arrested in a road rage incident following video showing the woman engaging in a brawl with a couple in Manhattan’s midtown after allegedly being cut off. Booked with a series of assault violations was 25 year old NYC cabbie, Alyssa Jenna Mallett who was caught on video alighting out of her cab and attacking the occupants of a Nissan SUV after believing herself to have been cut off. The nypost reported Alyssa Mallett driving a yellow taxi westbound on West 35th st and 7th ave circa 4.45pm, Thursday when the irate driver alighted and descended on the occupants of the SUV. Upon exiting her yellow cab, video (see below) showed Mallett confronting the SUV’s driver, a 24 year old man, punching, scratching and biting him. 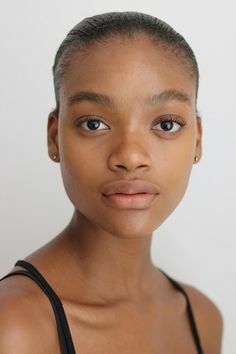 Matters continued to devolve when a 22 year old female passenger in the SUV got out, with video showing Mallett punching and pulling her hair as a passerby sought to break the fracas up. But it gets worse. Put on your seatbelts kids. ABC 7, reported Mallet getting back in her cab and trying to drive away, ramming the Nissan with the couple’s two children inside, hitting an unattended UPS truck and another unoccupied parked vehicle before backing up and striking a fourth unoccupied car. Do not pass Go! Go directly to JAIL! You win NYC’s most obnoxious New Yorker of the year. Bow to the GODS! Mallett was arrested at the scene and charged with reckless endangerment, criminal mischief and assault. Inside the SUV were an 11-year-old girl and a 2-week-old girl, neither of whom was injured in the incident. The adult passengers of the SUV were treated at the scene for their injuries. A spokesperson for the TLC confirmed Mallett’s license was suspended pending the outcome of the case. Thursday’s incident follows Mallett having her TLC license for 14 months, with the woman facing revocation over additional separate incidents for refusal of service and overcharging passengers . A June incident at LaGuardia Airport saw Mallett allegedly hitting a passenger in the head with her cell phone. Fox 5 reported Mallett’s license being suspended after that incident only for charges to be dismissed and her license reinstated.